Feedback and detailed seller ratings measure how satisfied your customers are with their experience. By monitoring these standards, you’ll become familiar with how you're tracking and recognise opportunities to improve your service and attract new customers. Today's online shoppers expect fast delivery and good communication. eBay provides sellers with tips and tools to help make efficient sales and maintain a good relationship with buyers, encouraging them to become loyal and repeat shoppers. For most sellers it's not often that something goes wrong with a transaction. But if it does, our after-sale process makes it easy to respond to requests, returns and other transaction issues effectively. There are lots of ways to be a great seller, but keeping your buyers satisfied is relatively simple as long as you follow these guidelines. 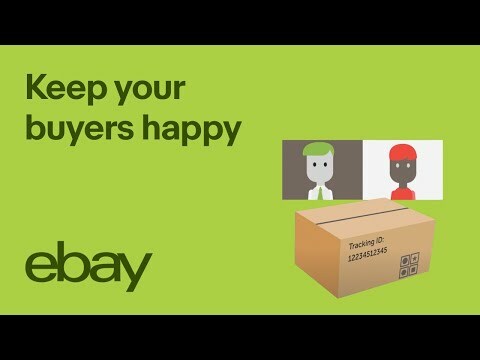 Take a look at our short video to learn how these guidelines help you to keep your seller performance high on eBay. Buyer protection benefits sellers too. Learn more about eBay Money Back Guarantee. We protect sellers as well as buyers. Learn more about seller protection. Use the Resolution Centre to communicate with buyers and help resolve issues. All return requests are managed through My eBay. You can also customise returns preferences to help you respond to return requests promptly and efficiently. Our Feedback system allows buyers and sellers to leave each other Feedback on transactions. We recommend you leave Feedback for your customers as soon as they pay. They'll be more likely to leave Feedback quickly in response. Your transaction defect or late shipment report can help you understand how your seller status has been affected and which areas may be holding you back. How can I use my Seller Dashboard? Use Seller Dashboard to monitor your seller level and key seller metrics. This includes transaction defect rate, closed cases without seller resolution, late shipment rate and return rate. You can also run reports for better insight into your detailed seller ratings. The transaction was cancelled by the seller when the item was out of stock, or sold to another buyer. What is the defect rate? What impacts my defect rate? Requests to return an item or requests reporting that an item wasn't received only count as a defect if eBay or PayPal is asked to step in and help and then finds you (the seller) responsible. Cancelled transactions only count as a defect when you (the seller) had to cancel because the item was out of stock or sold to another buyer. What is the Seller performance and Feedback policy? This policy outlines clear instances where defects, late shipments and Feedback, will be automatically removed from your performance record – without having to contact us. Can I appeal a defect or late shipment? You can appeal a defect or late shipment within 90 days of the transaction. For example, we'll remove a late shipment if the buyer's feedback indicated the item was delivered late but you uploaded tracking that confirms it was sent within your handling time. The Seller performance and Feedback policy outlines clear instances where defects, late shipments and Feedback will be automatically removed from your performance record – without having to contact us. Read more here. When should I use the Resolution Centre? Use the Resolution Centre if you don't receive payment for an item you've sold, if you've sold an item but can't go through with the transaction or if you've agreed to cancel a buyer's order. In most cases, you'll be eligible for a final value fee credit. Learn more about what to do when a buyer doesn't pay and cancelling a transaction.